From Kuala Lumpur we caught an evening flight to Chennai (also known as Madras, before the name was officially changed a few years ago) and stayed with Vig’s Uncle K for the week, aside from a mini road trip that’ll be the next post! After three weeks of go-go-go, we were so tired and ready for a break. Being in a home and just hanging out was nice! We took it really easy, ate at home all the time, and just took short excursions out. 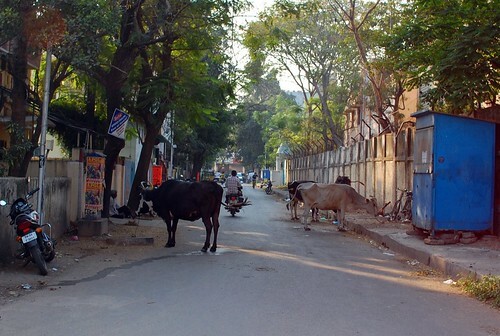 There are definitely cows everywhere – it was pretty sad to see them trying to eat garbage. There isn’t much grass going on in the city! Along with the cows there were also TONS of stray dogs that would bark and fight at all hours of the night, cats, and chickens. 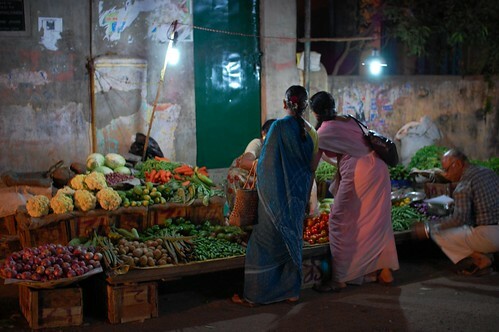 We visited the neighbourhood night vegetable market, to buy veggies for Mamy (Uncle K’s cooking lady) to prepare. Basically she comes over once a day (twice while we were there) to prepare whatever food for the day. It was rather nice not having to really think about where to get food! We also went and did a little shopping – I’d packed maybe a little *too* light, and really needed some tops and a lighter skirt. I actually ended up buying a wrap skirt from a little shop near the vegetable market, according to them it was 3/4 length but it was certainly full length on me (and I’m not super short)! The skirts are looooong. 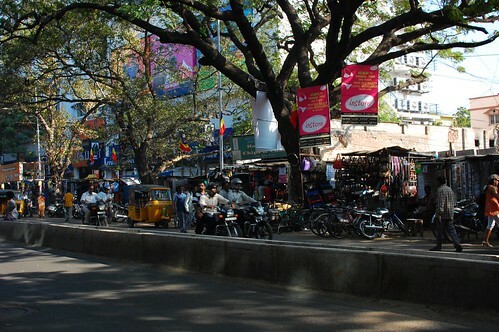 We checked out a few shops in Pondy Bazaar, a shopping street with bazaar-y stalls and little sellers along with larger established shops and things. 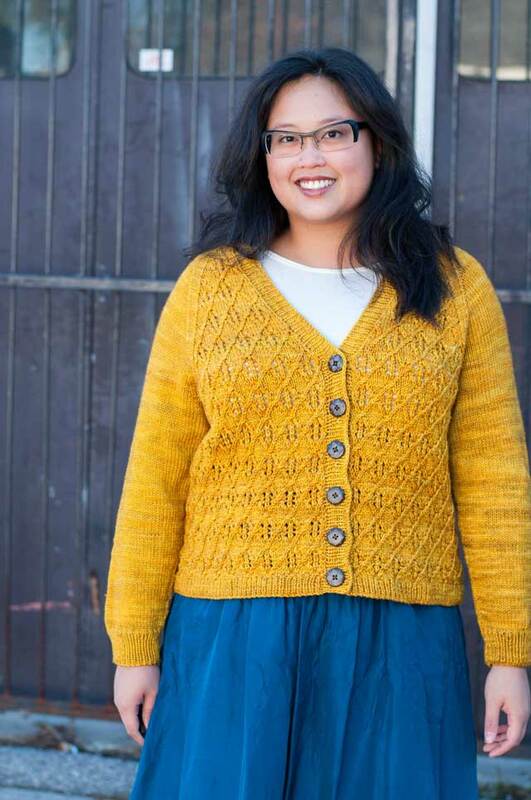 I did manage to find a good top, so I bought two in different colours – I’m a bit picky, so it took a little doing to find tops I would actually wear (and that would fit). 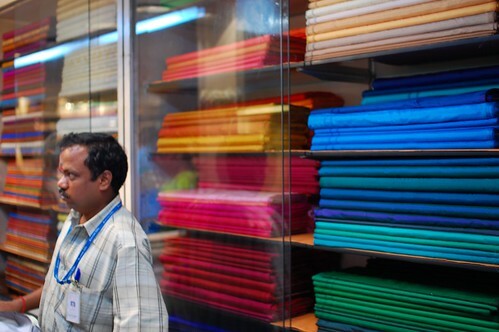 On the same shopping day we went to Kumeran Silks, a HUGE, multi level store that mainly sells silk saris along with some other styles of clothes, accessories…and silk material! Prices were excellent and I ended up buying quite a lot of different colours and types for presents – and myself, obviously! 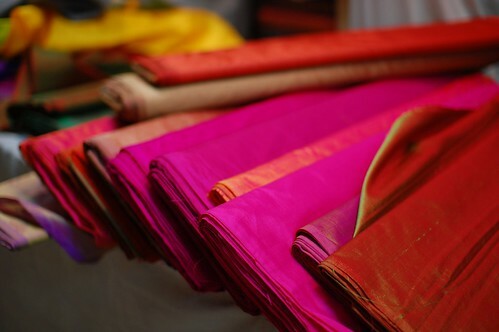 We also checked out some different price ranges on saris, from $25 to over $1000! Crazy tidbit about India – oh, the bureaucracy. Buying things in stores takes so many people! There was one guy who cut the fabric, one guy who wrote the amounts down and took it to a counter, the next guy printed up the receipt on the computer, the next guy checked the receipt again, then you pay the next guy, who gives it back to one of the previous guys to stamp, and then finally you give the stamped receipt to the guy who bagged your purchase and you can get your bag and leave! Takes at least 10 minutes to buy anything. 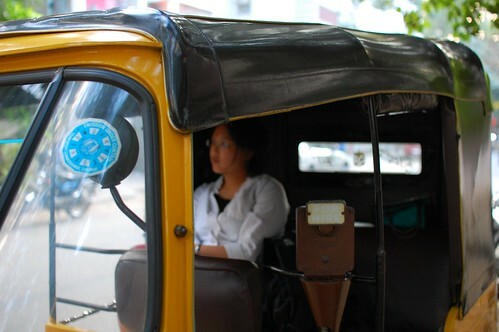 Man we took a lot of autorickshaws during out time in India – it really is the best way to get around! They can weave in and out of traffic more easily than a car (too easily maybe) and are really cheap. One that we hired for about six hours took us around whereever, waited while we were in stores and things, for a total of 400 INR or about ten dollars. And although riding around in them was somewhat hair-raising (no safety measures of any sort), at least the breeze was nice! Although it was actually cooler in Chennai than it was in Kuala Lumpur, we got much more tired of the heat. The houses are concrete and relatively cool, with lots of fans and such, but the bedroom was upstairs and was way too hot to be comfortable at night. On top of that we had to have the window open, but that meant that it was really LOUD in the mornings! People want to get out and do stuff before it gets too hot, but that’s like 6am. Even earplugs didn’t really cut it, and since our sleep was disturbed it was even more tiring. Later in the week we headed out with a hired driver and Uncle K for a 2-day road trip a little ways down the coast! I always imagined India as super colorful, and your photos prove me right! Wow, so many pretty colours! Wow! I am so loving this trip of yours. I can’t believe how much insider information I’m gaining from your posts. 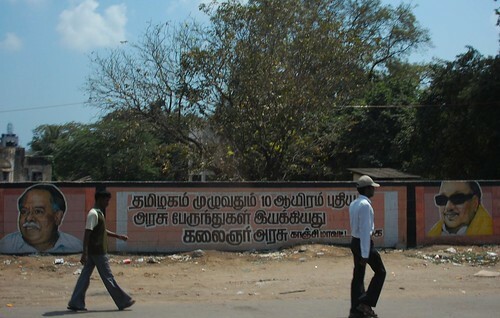 Chennai sounds fascinating. So glad you’re getting some down time to reboot, renew and re-energize. 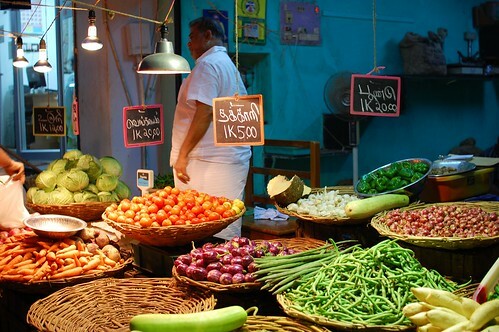 Why a night market? Is it too hot during the day? Did you answer that somewhere in the post (or another one) that I missed and am driving you nuts by asking? Was it hard to come back to colourless Toronto?